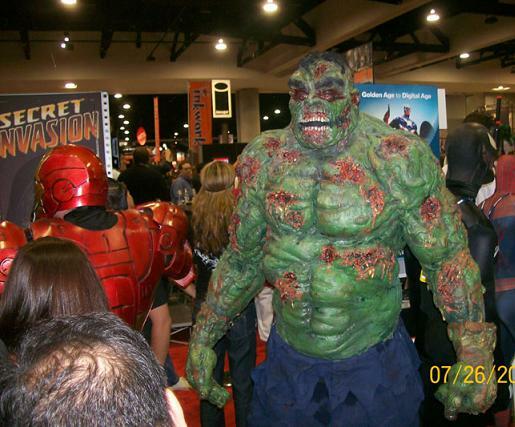 A shot from the SDCC of a Zombie Hulk costume. It’s the perfect combination of gore and muscle! I can only imagine how heavy this thing is to wear around. It doesn’t look very mobile either – but I’m still darn impressed! I was ecstatic to walk into Newbury Comics yesterday and see a few of these just came in. I asked about them Tuesday, went back Wednesday and BLAMMO! Like magic there it was! 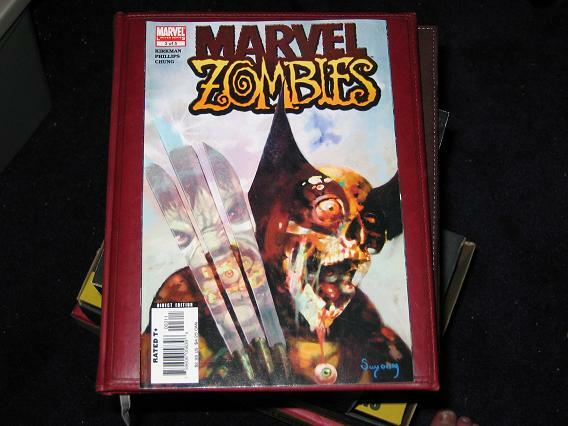 It’s pretty funky – and the Surfer’s face is on the bottom piece – because at the end the zombies ate the Surfer, and then Galactus. Great story. The sequel just came out and it’s starting off pretty good. Go get it and take a look. The Mini Mates released this little set just a bit ago and they did a nice job with the details. 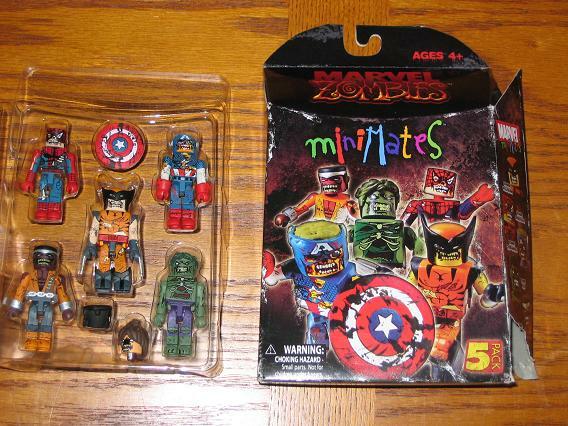 Each little figure is represented perfectly from the comics that these toys were inspired by. Pick this up if you have the chance. 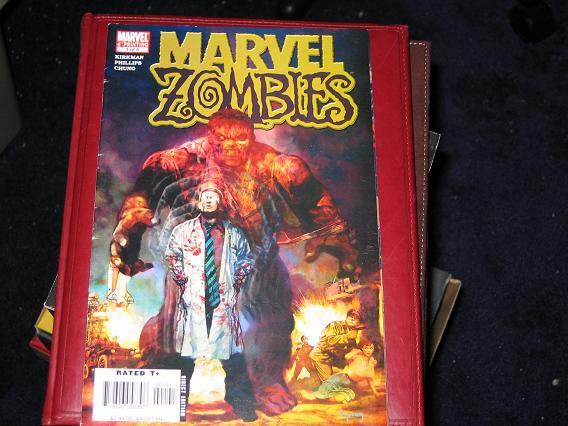 These are 2 covers from the mini-series, Marvel Zombies. I like the cover to #3 especially – the take on Incredible Hulk #340. 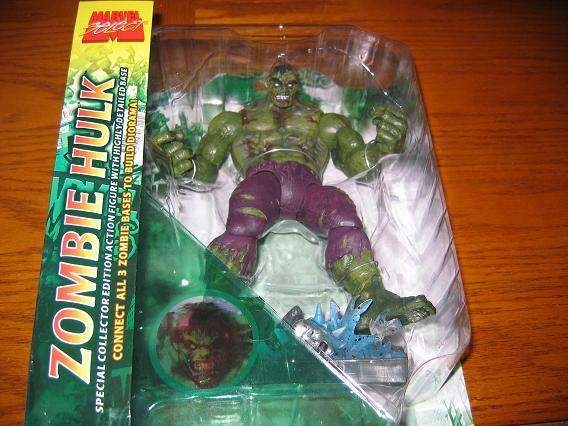 The best part, I think, are the eye balls that are stuffed into Hulk’s mouth. How great, that these two enemies – even as decomposing, flesh eating zombies – still have time to fight each other. Also – underneath is the take on Incredible Hulk #1.